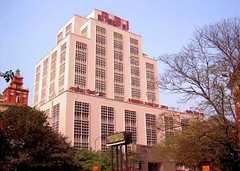 Ahmedabad happens to be one of the 11 countries for which the reserve bank of India would prepare one index for commercial and one for residential properties. This is done to curtail speculations and expected realty bubble burst in the coming years. The RBI report on asset price monitoring system (ASMS) advised to formulate these indices two months back. Many different countries such as Canada, France, us refer to these indices for realty prices. The report says, RBI should start compiling a realty index and update it every quarter. To begin with, the report has proposed Mumbai and Delhi where property prices have skyrocketed to record levels. After these cities RBI would add 10 other cities which include Greater Chandigarh, Hyderabad, Chennai, Bhubaneswar, Pune, Jaipur, Kolkata, Lucknow, Bangalore and Bhopal. The real estate price index once devised would become the primary index that could be perused by investors to gauge the performance of companies that are listed in the realty sector. The index can also help the investor analyze how real estate is performed in comparison to stocks and bonds. It can also provide information on the risk involved in a particular investment and returns that can be achieved from it. The ASMS report has defined the deficiencies this indices would help overcome.